Project Canvas attacked by retailers and manufacturers | What Hi-Fi? According to today's MediaGuardian, the DTG says in a submission to the BBC Trust that there is "widespread concern" that the venture's partners are developing key technology standards that do not involve major players such as set-top box and TV manufacturers. A key pledge has been that the technology underpinning the service, which would make video-on-demand programming available via TV sets to viewers with Freeview and Freesat set-top boxes, would be an open specification. "There remains widespread concern in the industry that there is a parallel process in place with a Canvas specification being developed by the joint venture and its innovation partners separately from, and regardless of, the DTG's Connected TV specification work," says the DTG in its submission to the BBC Trust. Project Canvas, whose partners include ITV, BT, Channel 4 and Channel Five, was given provisional approval to launch by the BBC Trust in December subject to a final public consultation. 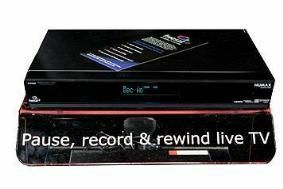 Interestingly, Freeview and Freesat set-top boxes from manufacturers such as Humax and 3View already offer web connectivity and access to IPTV (internet protocol TV) services via a broadband connection. A beta version of the BBC's iPlayer can now be accessed on Humax's range of Freesat boxes.